Browse: Home / What Happens When Startups Turn from Their Innovation Stage to Operational Excellence? They didn’t establish enduring processes to allow the broader company to have a roadmap for how to operate. Understanding how your company will change as you move through these phases is critical if you hope to scale to a large business one day. In the early years of a startup there is a lot of kinetic energy of enthusiastic innovators looking to launch a product that changes how an industry works. There is excitement about the possibilities of real change and an infectious “naive optimism” about how everything is possible. Many of us who have launched our own startups have our fondest memories of these salad days of startup life. There is nothing more pure than building a product, putting it out in the world and seeing paying customers using your product and in some cases loving it. As a startup in this phase you often raise capital, get press, hire staff and everything feels possible. As an early-stage VC I love this phase. I truly enjoy working with innovators who dare to take on the system and I embrace the unknown with them. I know full well that the hardest work in solving problems will come from them, not me, but I enjoy being there for every moment — good and bad. I will always remember fondly my coffee meeting 5 years ago with my friend Sam Rosen in New York City shortly after Hurricane Sandy. Sam began drawing out plans for a new way to provide storage after he had horrific experiences with traditional storage after the storm. Sam’s enthusiasm was infectious and his plans were bold. He came to work in our offices at Upfront Ventures as an EIR and immediately began building software to improve how storage was picked up, photographed, scanned and routed to a warehouse. Sam’s vision was to build a world-class “reverse logistics” company that could be as ambitious as Amazon has been in delivering goods to our houses. MakeSpace (as he named it) would help you get your excess goods into low-cost warehouses. Sam also had a vision as early as 2012 about how MakeSpace would be a large employer of middle-income jobs: The company would hire employees rather than just have contractors and he would lead the effort to ensure they had opportunities for growth and benefits for their families. As the idea went from innovating on software & systems to launch a company to rolling it out in the field brought on Rahul Gandhi as his co-founder to physically launch the company. Sam & Rahul have worked closely together on “innovate & operate” since the earliest days of MakeSpace. Great leaders recognize their own individual strengths and recruit people who complement them rather than compliment them. They look for people who fill in their gaps and together the team can make a whole. How much does it cost us to acquire a new customer? How profitable is my product or service? How long does it take me to pay back my original customer acquisition costs? What sized team can I afford in order to sell, market & provide service to these customers? Many companies don’t reach the next phase either because their leadership doesn’t adapt as an organization or because they don’t design processes that lead to scaled outcomes. The second phase that tech startups go through is when you actually start serving customers and all of the plans you had for what customers would want, how they would want it and how much they would pay get thrown out the window. In the case of MakeSpace, at the outset we had set out with the idea that once customers had all of their items in storage they might like to sell some stuff and create a marketplace like eBay and unload their items. The reality of running a storage business with millions of items in a warehouse made us realize that this wasn’t economic practical at large scale or at least it wasn’t the most attractive economic opportunity relative to how fast our core business was growing. You start out with vision, you must adapt and have intellectual honesty once you stare at your data and know where your true sources of differentiation and value are. During the Systematize phase you learn how to take true customer input into account, you learn what customers actually care about (vs. what your product & engineering thought they cared about and you adapt your offering. I always push companies to hire “an operationally focused CFO” during this phase because in order to systematize you need somebody who brings economic rigor to decision making. I recommend that teams hire somebody who is great at financial planning & analysis (FP&A) vs. somebody who is a pure accountant because keeping books (which is what great accountants do) is relatively straightforward whereas the help executive teams need most is help in planning, analyzing, communicating to investors and making sound economic decisions with the limited resources you have. This financial leader could well have come through the finance org at another startup or at a larger company but they often also can come from strategy consulting (Bain, BCG or McKinsey) or through investment banking (Goldman Sachs, Morgan Stanley, etc.). In the case of MakeSpace we had huge initial successes in New York City as Rahul led the scaling of our drivers, our trucks and our warehouses and we figured out the right price points to beat the local competition. We built a strong brand in the city and acquired a ton of organic traffic. But expanding beyond our core customers was going to take more effort than simply launching in new markets. When we looked to expand to other cities we built our “marketing playbook” and our “operating playbook” so we could systematize processes and methods that we knew intuitive in NYC but which needed to be spelled out if we were going to hire teams outside of our core location. We spent a few hundred thousand dollars opening up operations in Chicago and Washington D.C. and we were met with weak demand, slow growth and high costs. Crap! We realized that operating a business in distributed markets presented multi-city coordination efforts that we weren’t prepared for. The flawed assumptions are now kind of obvious but when you’re running at a thousand miles an hour it’s easy to miss some signs. Whereas New York City had people living in close clusters , Chicago and Washington D.C. were more distributed. Whereas New York City has very high real estate costs and very high salaries, launching in Chicago and D.C. presented pricing challenges when compared to a whole new set of offline competitors we didn’t know well. And whereas we built a fantastic brand in our core market, launching in new markets meant starting from scratch. We weren’t in enough cities to do national advertising campaigns yet we weren’t centralized enough to benefit off of our central marketing traction. Throughout the first year we made many fixes and saw our revenue base in these markets accelerate so we felt we were ready to attack Los Angeles, amongst the most important storage markets in the country. We used our refined playbooks for LA and figured this time we knew how to launch a market. The first few months were an instant success but after a few more months we realized that while revenue was growing rapidly our costs to acquire new customers were too high and we were therefore less profitable due in LA to a lack of “route density” to do pickups and drop offs. Crap. So with operations in four key cities and recurring revenue now firmly above $10 million per year and with 10,000+ customers we realized that we needed a proper CFO to guide our growth. We hired Chang Paik who had previously worked at Goldman Sachs and had already been CFO for a startup so he had both the “academy training” of a world-class organization as well as the scrappiness of startup life. Building more process around our economic decisions was an important part of systematizing the business. Following Chang’s arrival we made dramatic improvements in gross margins and massive reductions in payback periods and launched many more initiatives designed to lower costs and improve the quality of our customers through better segmentation. 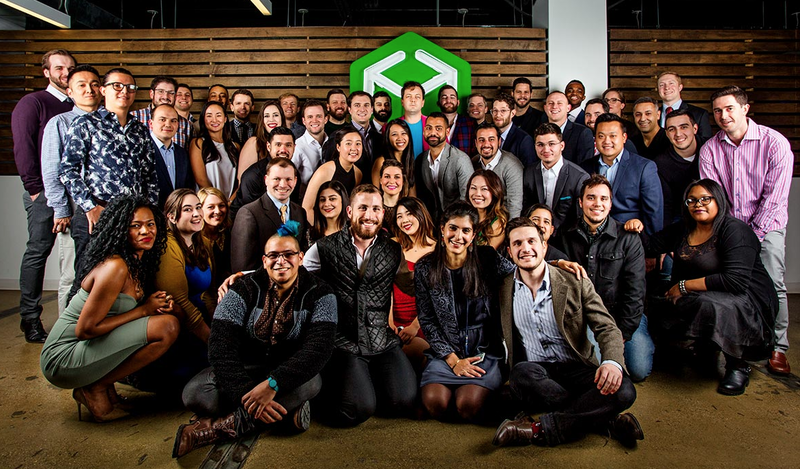 I can tell you that many founders make an egotistical mistake to launch in as many markets as possible as quickly as possible and the temptation was certainly there at MakeSpace. We have well financed competitors whom despite competing with we respect deeply and when you see your competition launching in many markets it’s tempting to follow suit. After numerous discussions we held the line and all agreed as a board that profitability was much more important than chasing new markets and that perfecting our systems and methods was critical before we expanded and just increase the scope of our problems to solve. As somebody who has seen the shift from Innovation to Systematization many times I can tell you that culturally it is very hard for organizations. Employees who are used to just making quick decisions and moving on instinct can have a hard time with the fact that they now must follow processes, consider the impact of their actions on other parts of the organization or actually get approval to spend money or commit the firm to a partnership agreement. The process of “systematizing” a business quite literally involves building systems that help you to achieve scale. While early-stage companies have all of their engineers working on product innovation, companies that want to scale realize that you also have to build systems to help with organizational scaling. An example of the systems companies build are pricing & revenue management tools to best help to optimize yield. At MakeSpace we had to build complex models to tell us how our pricing and conversion compared down to the neighborhood level. In the “innovate” phase it was sufficient to assume that cities would just have one price or one conversion rate but over time we had to become more sophisticated and not only did each zip code have different conversion metrics but they also had different costs for us to serve them (based on how far our trucks had to travel, how much traffic was in that neighborhood or how difficult parking would be). We have been able to build deep customer insights on product, pricing, service, geography, competition, etc. because three years ago we made an investment in hiring Ted Conbeer (now SVP of Strategy) who was formerly with Bain & Company and was director of customer insights at Tough Mudder. In a world where startup manuals tell you to just hire engineers or product managers, I would tell you that biggest missing ingredient to successful startups scaling is hiring more Ted Conbeers in the systematization phase. And Ted knows this because every time I talk with a CEO at Upfront and say “it’s time for you to hire a Ted” he gets a call from a founder saying, “WTF was Mark talking about?” Seriously, this happens. We also had to invest heavily in “route optimization” technology to figure out the best way to pick up goods but we also had to build bundles of routes for drivers so we could maximize what we picked up or dropped off for one driving in any given day. So it makes me laugh to this day when I talk with a journalist or potential investor in the company and they ask flippantly, “How is MakeSpace a technology company?” The systems, algorithms and planning tools we have built were significantly more complex and differentiated than many other companies I had worked with over the past decade and form a much bigger barrier to entry. It isn’t by accident that Amazon has become amongst the most valuable companies on the planet. At its core, Amazon is a logistics and warehouse company. At its core, MakeSpace is as well, which is why we’ve spent millions of dollars on IT systems vs. other choices we could have spent money on. It wasn’t just front-end processes like sales tools, marketing funnels, dynamic pricing, driver routes and so forth but we also had to build comprehensive systems to manage numerous warehouses across four different cities. 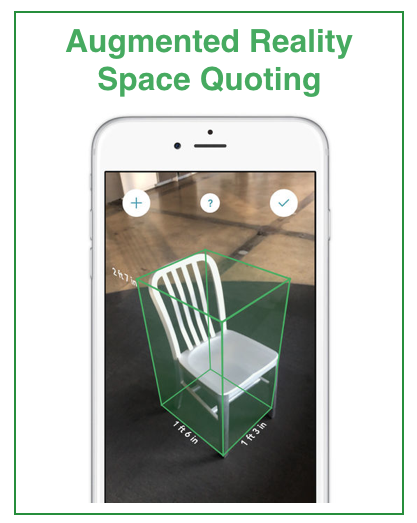 We have had an amazing technology & product lead now in place for several years in Nicolas Grasset who understood that to differentiate we had to be better at scanning, tracking, routing and optimizing physical location of items as well as estimating sizing dimensions. This “operations optimization” problem was basically one big Tetris challenge or Rubik’s cube puzzle to solve. The learning curve for any new competitor to enter our market is significantly harder than any new entrant would imagine, which is why we don’t really fear new competitors at this moment. We know that to build an enormous company we don’t need to fear our largest startup competitor who is equally smart and capable but we just need to continue to invest in out-innovating the dinosaurs who provide local storage. They offer a terrible product for customers at unreasonable price points that continue to go up every year. As a result of the efforts of Sam, Rahul, Ted, Nicolas, Chang and the entire MakeSpace team our revenue grew 150% between the months of January and October of 2017, having served more than 20,000 customers and stored more than a million individual items for our customers. the real phase of our business is now about scaling vs. trying to launch too many new features in our core product. When companies get ready to add scale it’s important to bring in industry experts who bring real-world experiences from world-class companies that you aren’t inventing things for the first time. In the case of MakeSpace we knew that we had to add a national head of supply chain, logistics & warehouse operations and we went out aggressively to recruit Jesus Flores del Bosque who had spent years at Amazon as a Senior Operations Manager where he got direct experience rolling out highly complex warehouses and implementing Amazon’s Kiva robotic systems in one of Amazon’s largest fulfillment warehouses. No prizes for guessing what some of MakeSpace’s innovations will be in 2018 and 2019. I don’t take anything away from the amazing team that built our existing processes and systems but having a respected leader from the outside helps bring in new perspectives. We also know that to scale aggressively in many markets we needed to add somebody who had built world-class brands because a large part of lowering customer acquisition costs is having an aspirational brand and making sure potential customers think of you at the time of purchase. We recently added Richard Mumby to our leadership team. Richard was CMO for PAX labs a market leader in the e-cigarette category and he ran marketing for Bonobos, an innovative apparel company bought by Walmart for more than $300 million. The amazing brand that MakeSpace has built today was the collaboration of our passionate founder, Sam Rosen, who espoused our brand values but also one of his earliest hires, the creative genius Rion Harmon who led all of our visual work and creative subway campaigns, videos, online acquisition imagery, etc. Sam built a deep and wide bench of people who each brought different and unique skills to bear and now this functional area has a leader in its own right to help scale sales & marketing nationally. With $30 million raised in 2017 ($57 million total) we feel in a great position to execute against our ambitions and truly scale our operations although we know each new phases adds new challenges. What CAPEX investments could we make now to lower our unit costs and make it harder for competitors but also draining today’s capital and resources? “When should we raise more money?” Raise too soon and likely take on more dilution, wait and get valuation up (as our metrics continue to rise) but then run to a point where you have a lower cash balance and place more risks on the business. Startups are fun and exhilarating and filled with challenging problems to solve. To the neophyte it seems like startup challenges are strictly product or technical in nature but to innovate, systematize and scale a billion dollar company it involves way more decisions about strategy, economics, resource allocations and team composition. Some of you may have learned that recently our passionate leader, Sam Rosen, decided to move on and hand the leadership baton to his co-founder and operations-minded leader, Rahul Gandhi. I am encouraged that they both managed the business so seamlessly until this point and that the hand-off was from friend & respected colleague to another. I will miss my daily interactions with Sam. He’s been a dear friend to me for years, spending time at my house with my family and even attending my son’s Bar Mitzvah. 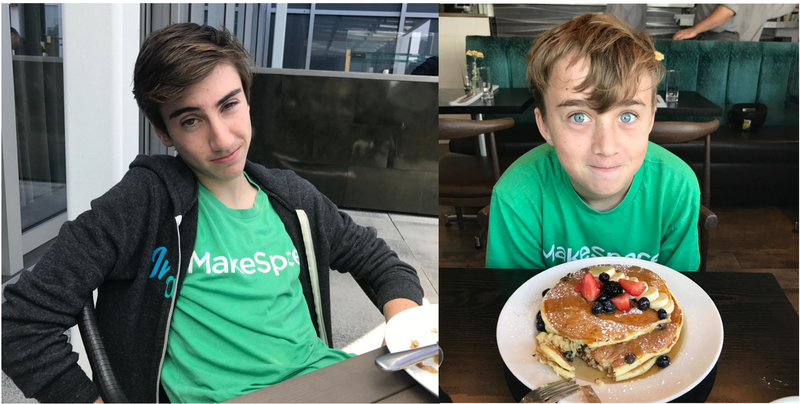 And my family are a definitely a “MakeSpace family” regularly donning MakeSpace t-shirts at school and at home and cheering every time we see a MakeSpace truck driving down an LA freeway. But I also know that Sam’s true passions are innovating and creating new products and markets and that while MakeSpace will always be his creation, I acknowledge that it was right for Sam to hand the keys off to his co-founder and begin his new journeys. I’m excited for both Sam and for Rahul to watch them both continue to grow as leaders and as people. And I’m excited to enter this new phase of scaling operations with my fellow board members Mark Lotke at Harmony and Kimmy Scotti and 8VC as we work with this very talented executive team to continue to disrupt this $34 billion market. Startups are messy and development is seldom linear and up-and-to-the right. They are filled with growth spurts and setbacks. They are filled with optimism and exhaustion. Startups are filled with great decisions that lead you to new heights and false positives that lead you down rat holes. I have witnessed companies like MakeSpace who have admirably made successful transitions and others who sadly got off track due to a lack of alignment of key stakeholders. If I could close with some advice for startups and boards …. “Startups are like families. In a startup you will experience life’s greatest joys but also go through many challenging moments — even when your company is seemingly successful. In the end, the most important ingredients in family life and startups are the same — mutual trust, respect, admiration and the feeling that you truly want everybody individually to succeed and be their best selves. Having a team of executives and board members who build trusting relationships that can endure the hardest of decisions and changes and do so with mutual respect and candor is paramount. Some founders view boards and board meetings as a perfunctory activity to check a box and update investors on performance and then quickly get back to what they were doing. I encourage you to work harder on building a unified extended team across management and your board.